The FreeSpace® 3 system's modular design lets you create the subwoofer/satellite system that suits your space best. The Bose® FreeSpace® 3 flush-mount bass module is designed to work with matching Bose® satellite speakers in a commercial modular system. Each module contains a 5-1/4" woofer, and offers 70/100-volt power taps at 25, 50, 100, and 200 watts, so you can integrate it into a commercial sound system. 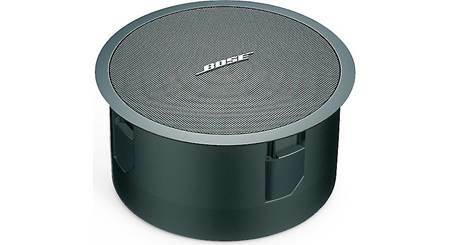 This Bose system's modular design lets you create the subwoofer/satellite system that suits your space best. An Acoustimass module is the heart of each system, providing transformer taps and connections for your satellite speakers. You choose the system that suits your unique space. A bass module can connect to two or four speakers, and you can mix and match. Try the surface-mount bass module with flush-mount satellites, or a flush-mount bass module with compact surface-mount satellites. Or keep like with like. However you put it together, a full system offers impressive performance, with frequency response from 50-16,000 Hz, and up to 800 watts peak power. Not sure which will work best for you? Don't fret. 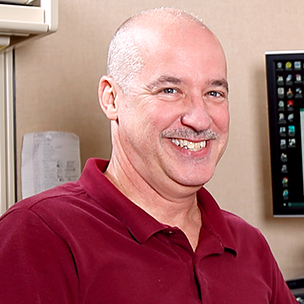 Our commercial audio advisors can help you make the right choice. 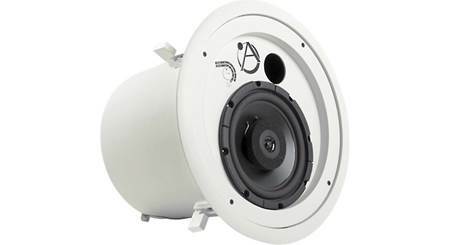 Overview: The Bose FreeSpace 3 Series II Acoustimass module is a flush-mount woofer designed for bass augmentation for new and existing background music systems. Featuring a 5.25" woofer driver that can deliver deep bass down to 40 Hz without audible distortion, and includes connections for 2 or 4 Bose FreeSpace 3 satellite speakers. Connections are provided for 70/100 volt inputs as well as a stereo/mono input that bypasses the internal transformer, running the sub as a 6Ω speaker. 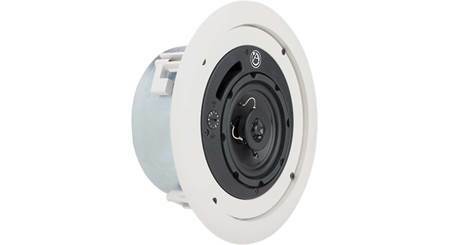 Mounting: Housed in a durable PC/ABS enclosure with a steel bottom-plate, the Series II Acoustimass sub can be flush-mounted in ceilings or walls and can also be suspended as a pendant speaker (installation kit sold separately). Four integrated mounting arms around the perimeter of the sub are provided for flush-mounting. When the provided Phillips-head screw for each arm is tightened, the arms swing outward locking the speaker against the mounting surface. 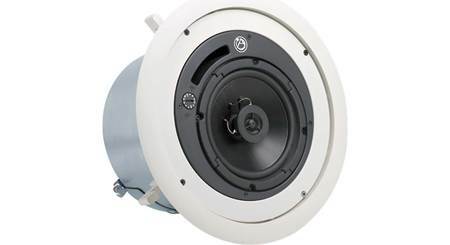 The subwoofer is also plenum rated, for use in air handling spaces, when installed with Bose's optional plenum cover (sold separately). 70/100 Volt: The FreeSpace 3 Series II Acoustimass module is rated for 200 watts RMS (800 peak) and can be used with both 70 and 100 volt systems. With the transformer bypassed, it can handle 50 watts RMS (200 watts peak) per stereo channel or 100 watts RMS (400 watts peak) in mono. Tap settings are accessed by removing a cover-plate on the front side of the speaker underneath the grill. Selecting a "tap" is made by connecting the provided jumper wire to the appropriate set-screw terminal for the desired wattage, with the default connection to the 200 watt tap. The sub also includes 2 sets of speaker input terminals for powering it from a stereo or mono source, bypassing the transformer. Set-screw terminals are also provided to run 2 or 4 Bose FreeSpace 3 satellite speakers, either surface or flush mount types, in conjunction with the sub for a Bose "system". Jumper wires come already attached to these terminals for 70/100 volt use, but get removed if bypassing the internal transformer. The FreeSpace 3 satellite speakers are 70/100 volt compatible, but don't have a transformer built into them, instead, relying on the subwoofer's transformer. Note: Only FreeSpace 3 satellite speakers should be connected to the outputs of the Acoustimass module. 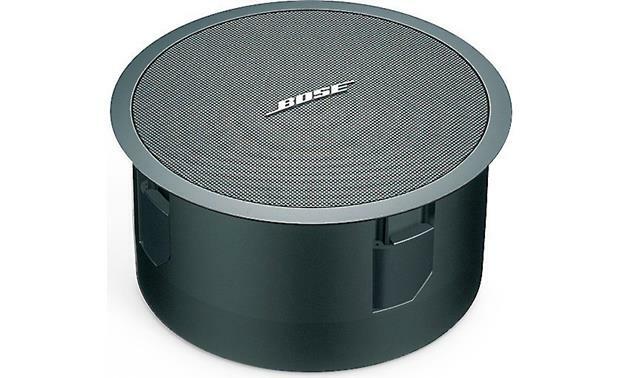 Dimensions: Diameter - 15.4375", Cutout diameter - 14.0", Depth - 7.75"
Searches related to the Bose® FreeSpace® 3 Series II Bass Module 5-1/4" commercial in-ceiling/in-wall subwoofer.